In a small bowl, whisk together TABASCO® Green Jalapeño Sauce, taco seasoning, and tomato sauce. Pour half into the prepared crockpot. Place chicken breasts in crockpot on top of sauce, then pour remaining sauce over chicken. Uncover and shred cooked chicken with 2 forks. 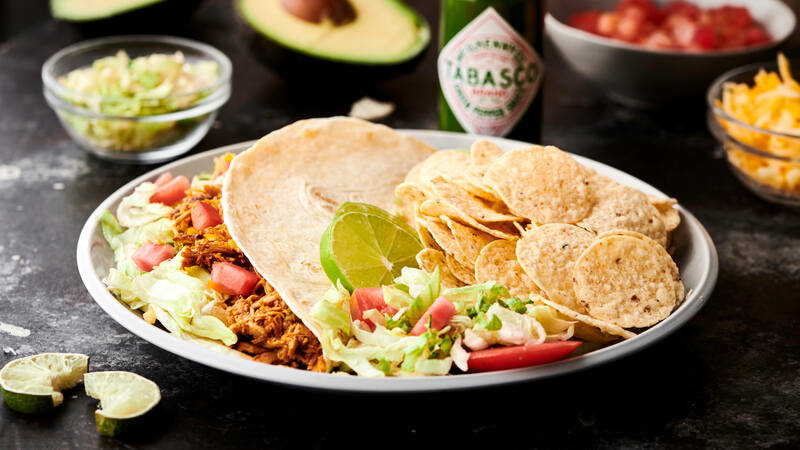 Assemble your taco: place shredded chicken into a tortilla and top with lettuce, cheese, and tomatoes, if desired.